The male idol groups have been bringing out their best in 2013! While idols who debuted seven or more years ago are taking foreign countries by storm, the idols who debuted more recently in the period of two to three years have been stealing the hearts in their home country, bringing about an interesting ranking among the boy groups this year. Based on the boys' music scores (based on digital charts), music album sales, music show wins, fan cafe member count, and more, Dispatch ranked these idol boy groups accordingly. They chose each group's best 2013 song for each category and used those tallied points to put them in this order. To no one's surprise, EXO, who have been seriously gaining wide popularity this year and quickly approaching the 1 million album sales milestone came out on top. Other relatively new groups like B1A4 and TEEN TOP also made the list this year while the more senior groups like TVXQ, Big Bang, and Super Junior were still placed in the top fourteen despite their focus on overseas promotions. 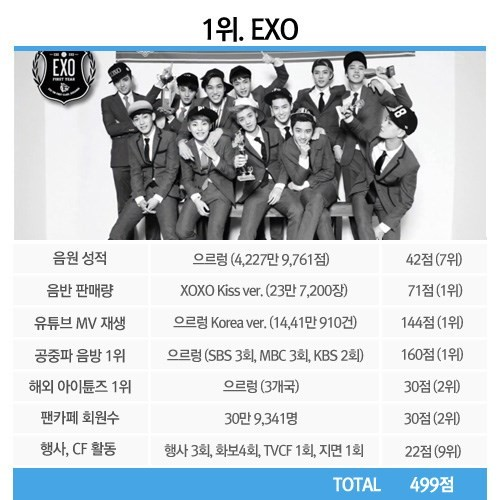 Just two years after their debut, EXO has become one of the top idols in the industry. Their most eye-catching statistic is their music sales. 'XOXO (Kiss Version)' was released in August, selling almost 240,000 copies and grabbing the number one spot in that category. They are not only popular in Korea but also overseas. Their MV for "Growl" garnered more than 14 million views on YouTube, making the group number one in yet another category. The song became number one in the iTunes charts for three foreign countries: Thailand, Singapore, and Indonesia. This made them tie in second place for this category with SHINee. It has been five years since SHINee debuted, yet they are still as popular as ever. They released their album 'Dream Girl' in February and sold approximately 180,000 copies, putting them in second place for album sales after label mate EXO. 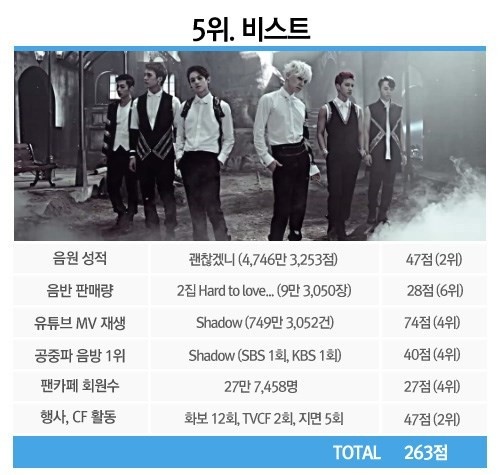 SHINee are also relatively popular overseas, coming in third place for most YouTube views. Their "Dream Girl" MV was viewed about 8.6 million times on YouTube. In regards to foreign iTunes charts, "Why So Serious?" was very popular, becoming number one in three different countries: Japan, Taiwan, and Hong Kong. This makes them tied for second place with EXO. 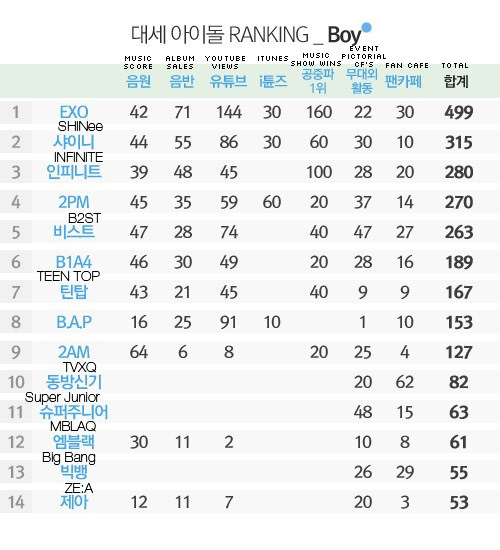 INFINITE did fairly well in Korea. They made second place in the category for most wins on music shows, winning once on 'Music Core,' twice on 'Inkigayo,' and twice on 'Music Bank.' However, their popularity overseas is still quite lukewarm at this time. Their MV for "Destiny," released sometime in July, got about 4.6 million views on YouTube. This put them at just seventh place for that category. However, they are sure to garner more fans as they started their six-month world tour in August. 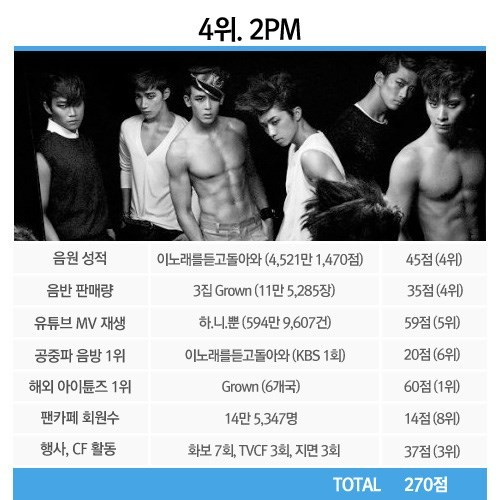 2PM are receiving a lot of love in foreign music charts, almost making them honorary representatives of K-pop. They won the top spot in the category for foreign iTunes music charts, snagging the number one spot for "Grown" in six different countries: Thailand, Singapore, Hong Kong, Malaysia, Philippines, and Taiwan. Their song "Come Back When You Hear This Song" was placed fourth for both music score and sales categories. Released in May, B2ST's "Will You Be Alright?" ranked in second for music score despite not being the title song. Even though they did no official promotions for this song, it did impressively well, especially considering that the song is a ballad and B2ST is considered a dance idol group. B2ST came in second place for an impressive amount of appearances: twelve fashion pictorials, five print advertisements, and two CFs. Because of their ever growing popularity, they garnered 50,000 more fan cafe members than last year for a total of about 270,000 members. Congratulations to the amazing boy groups who made the list, especially EXO for being relatively new to the scene yet grabbing the top spot! 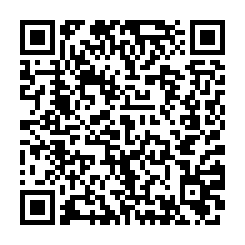 Check out the full list in the bar graph and charts below to see the full breakdown.